Kigali, Rwanda – Bayingana Mark is trying on a crisp white shirt in Biryogo market in Kigali’s Nyariambo district, known for its small-scale traders selling second-hand clothes from all over the world. Even when worn over his polo, the button-up shirt is too big, but Mark seems certain about buying it. He takes its off and tucks it under his elbow. Around him the market is overflowing in clothes. Hundreds of shirts and dresses hang from rails, trousers are folded on wooden tables, while hundreds and thousands of other items of clothing are jumbled on cotton sheets on the floor. Mark, a trader and head of Biryogo market, tells Al Jazeera that the lull is down to a government-imposed tax on imported second-hand clothes last year. 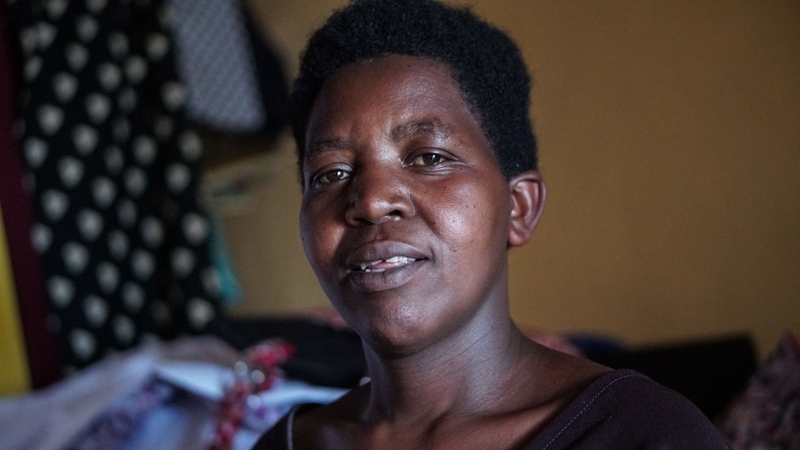 “Since the second-hand clothes tax was implemented in Rwanda, business dried up and most people have lost their jobs here,” 39-year-old Mark says. “Look at this shirt, yes, it’s second hand, but its quality,” he says, unfolding his purchase. 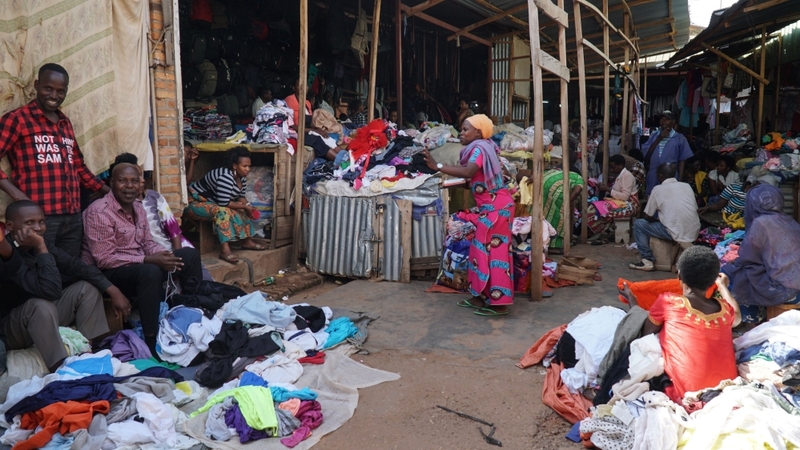 Second-hand clothing is a multi-million dollar industry in East Africa. While used clothing comes from across the globe, including Europe and China, most originates from the US. But it is also seen as one of the primary reasons local textile industries collapsed in the eighties and nineties. 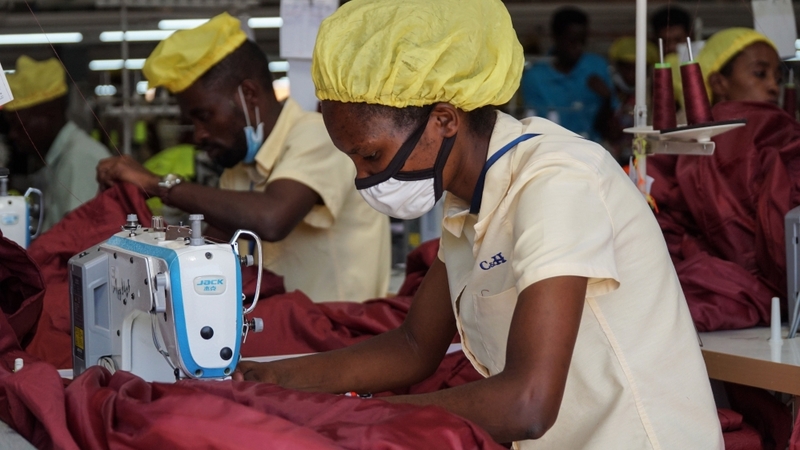 In a bid to resuscitate local manufacturing, East African governments, including Kenya, Tanzania, Uganda and Rwanda, agreed in March 2016 to increase their tariffs on imported used clothes with the intention of phasing them out by 2019. In the 2016/7 financial year, Rwanda raised the tax on imported used clothes from $0.20 to $2.50 per kilo and to $4 in the next financial year. This is a political choice which holds the citizen’s dignity at its centre. We ultimately make decisions for ourselves and the Rwandan people. Those supportive of the Rwanda’s government’s bullish ambition to develop local manufacturing see the decision as a boon to their trade. 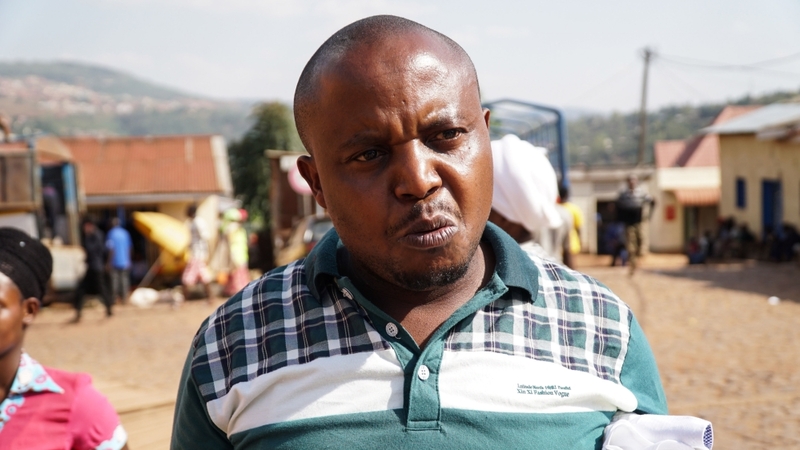 Traders such as Mark and a seller in Murambi village in southern Rwanda, who didn’t want to be named, say the taxes have made used products unaffordable for most Rwandans. Around the Biryogo market, an entire network of traders have been affected by the tax. 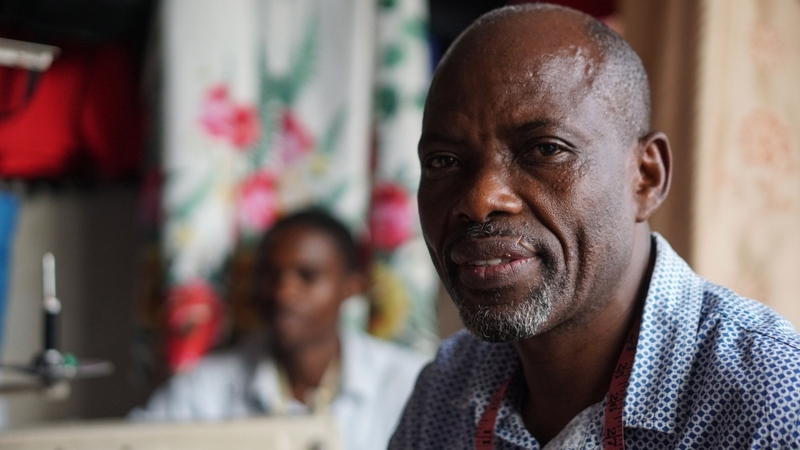 According to those who remain, many left to the DRC or Uganda to continue their businesses. One female tailor who works outside the main Biryogo market, and who asked not to be named, said her clientele had fallen by 60 percent. “We are battling,” she told Al Jazeera. “This is a political choice which holds the citizen’s dignity at its centre,” Ladislas Ngendahimana, a political analyst based in Kigali, says of a “Made in Rwanda” campaign. “We ultimately make decisions for ourselves and the Rwandan people,” he added. Clare Akamanzi, CEO of Rwanda Development Board (RDB), says that it is the government’s “belief that our citizens deserve better than becoming the recipients of discarded clothes from the western world. This is about the dignity of our people”. Rwanda is attempting to shed the “dependency” and “third world” labels and wants to become a middle-income country by 2020. But 63 percent of the population still earnless than $1.25 a day. Some people don’t have a choice between dignity and necessity. They are too poor to be able to care much about that. Rwanda’s insistence on maintaining the import tax and banning used clothing by 2019 has also ruffled feathers outside the country. In July, the Trump administration partially suspended Rwanda from the (AGOA), effectively taking away the country’s right to export clothing tax-free to the United States. In so doing, Rwanda joined a legion others, including Canada, the European Union and China, in facing off with Trump’s increasingly belligerent trade policies. “But they will change what they do. I know some who are now collaborating with tailors to sell new clothes,” Serafina said. The 47-year-old tailor said that the move to emphasise new clothes has “opened our eyes and energised our creativity”. According to the Akamanzi from RDB, the decision to tax used clothing has already helped develop the local textile and shoe industries. Production has increased from $59.5million in 2015 to $70.6 million in 2017. Ngoye Emmanuel, 50, sits in an upper-floor shop of the market. He says it was only a matter of time before everyone got used to the change. “I am not saying it is not going to be difficult. But I am confident that is an exciting time,” Emmanuel, who tailors clothes for both men and women, tells Al Jazeera. Teddy Kaberuka, a political analyst in Kigali described the move as “a strategic decision” aiming at boosting and create sustainable economic development. “In order to break the chain of economic dependency, each country needs to have a long term policy which aim at creating wealth for the country,” Kaberuka told Al Jazeera. “It is a big opportunity for tailors,” the 38-year-old says. “But no one seems to know how to tackle it. While Jacque understands the demand for self-respect, he says the economy does not run on “dignity”. The C&H factory in Kigali’s Special Economic Zone is bustling with activity. Hundreds of workers cut fabrics, check labels, operate sewing machines, and carefully monitor the “Made in Rwanda” products for their quality. 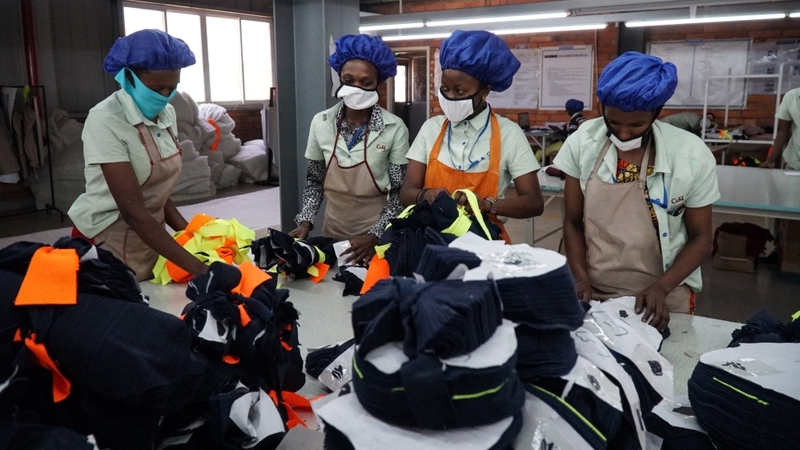 Originally starting out as an export-oriented manufacturing plant, with most clients from the US and Europe, this Chinese-owned factory has moved into producing garments for the local market. Since the import tax on used clothing was implemented, orders from the US have decreased. “At the moment, we export 80 percent (to the US and Europe) and 20 percent is for the local market. We hope to act like a catalyst for the local manufacturing sector,” Malou Jontilano, marketing director of C&H, tells Al Jazeera. The questions surrounding Rwanda’s capacity to mass produce affordable clothing for its population is a legitimate one. Designers and tailors say that given that textiles are still imported from China, Turkey or elsewhere across the continent like Senegal, prices are likely remain high. Then is the no-small matter of a skilled labour force, capital investment, dependable electricity supply and technology. Uwamahoro Delphine, who launched her fashion label DelphineZ in 2016, says she welcomes the opportunity the tax afford to businesspeople like her, but recognised the difficulties traders would have to endure. “I understand that they need to feed their families. It is expensive to create clothes … but when it comes to pride, wearing second-hand clothes is not something anyone wants to do,” she says. Delphine’s designs are a mix of traditional and modern clothing for men and women. Her boutique in Nyamirambo is a full of shirts, jumpsuits and dresses all stitched in Kitenge cloth. She knows that her clothing isn’t for working class Rwandans and says she can only reduce costs if she can access a larger market. According to Akamanzi, from RDB, the government is not unaware of the challenges and is trying to bring down the cost of production. She says that government has removed import duties for fabric brought in by clothes manufacturers. “Furthermore, the government has established funds to support both production and market access for example, the Export Growth Fund, the Industrial Adjustment Facility and the Business Development Fund,” Akamanzi said. “For now, we are far from seeing mass production meeting the needs of the population, but since launching the Made in Rwanda campaign, there is a significant increase of local production year by year; more jobs are created for the citizen and the trend will continue,” Kaberuka says. Mark, the trader, is clear in that he is not against the “Made in Rwanda” campaign or the prioritisation of Rwandan goods over used clothes from abroad. For him, it is a matter of choice. 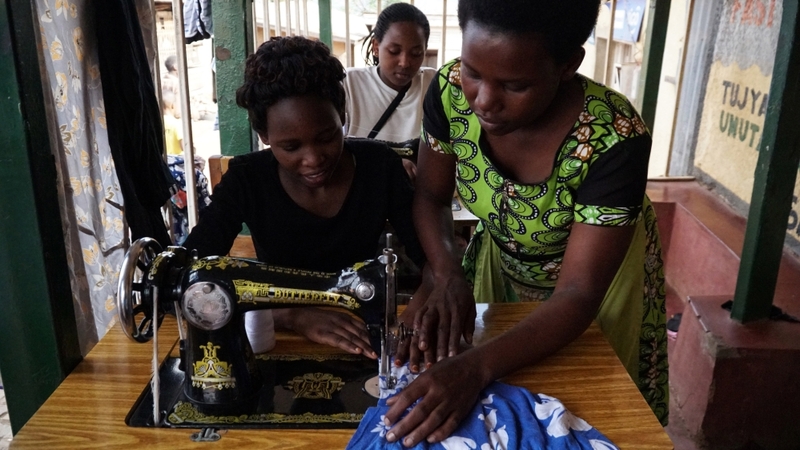 “I believe there should be proper competition between Made in Rwanda and second-hand clothes. Some clothing can be found for less than a dollar which you can’t find with locally made clothes.